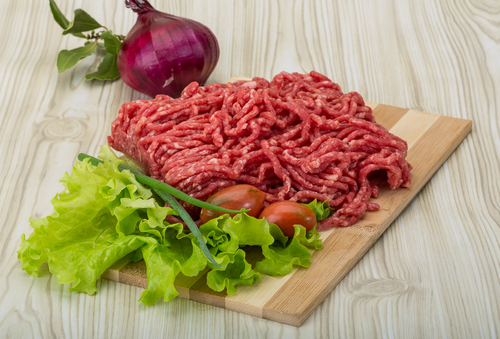 Lean mince beef is from selected cuts from the shoulder of the beef; we use chuck beef for our course mince, this is because it will not dry out when cooking. It is important that mince beef is from the shoulder and not from the prime part of the carcass like topside, sirloin etc.. The reason is that it will go hard & tasteless if the cuts come from the prime cuts. Much of the mince beef in the supermarket is from the ‘ factory trim’ and could come from anywhere on the carcass! TOP TIP: When I was a boy in Liverpool we use to have a dish called ‘scouse’; you could always tell when someone had scouse cooking by the smell. The name of the dish gave us our nickname ‘Scoucers’. To make ‘scouse’ take 5 large onions, 4 large carrots 4 Lb of potatoes 1 kilo of mince, 1 litre beef stock. Chop all ingredients and cook for 3 hours. Serve with pickled red cabbage.